Above is a copy of the terminal session. A easy cp command. But where did the file 10-evdev.conf go? I was trying to copy the file to my home dir. I look up a sample cp command on the web and read the man cp file. But I am stuck. Where did the file go? As you can see Public2 does not exist. Now I got around my problem by using the file GUI interface. But I am trying to learn a bit about terminal commands and really don’t understand what I did wrong. Thanks. I need to cancel / remove this question. I found the file on / (root). Howard @easyt50, I gotta say, I love your questions. THey seem like, “Hey, I’m lost in the woods. How do I get out? And, by the way, how is a spruce different from a fir tree?” Despite the task at hand, you always step outside and ask a “knowledge bank” type question too. Cliffsloane, Thanks for your understanding / support. I do feel lost. I know what I want to do, I’m not afraid to try things, I trying to learn fast. There’s the conflict of terminal / command mode vs all the GUI interfaces. I want to leave Windows, but can’t until I feel comfortable with Linux. I need to be able to backup and restore the /root, expand the /root partition, and recovery the /root before I can move forward. Right now, I don’t know how to do any of these. Sometimes, I feel like talking a poll here as to what people here use for recovery. i can remove this thread if you like, but i think it is a valid question sometimes terminal commands don’t go the way we think they will. really don’t understand what I did wrong. The system did exactly what you told it to do. You told it to copy 10-evdev.conf to the /Public2 folder. That’s why you found it there. Everything is correct. I think it is always important to remember the welcome message, when you run something the first time as root after you just did a fresh installation of a Linux OS. When using a Linux system on your own, mainly the last 2 points are extremely important. Many have to learn it the hard way, because from their previous systems they are used to be so restricted, that they usually don’t have to worry about a major failure, if making a mistake. With Linux you can do basically anything you want. This is amazing, but that also means that you actually need to know what you are doing. Imagine you would be able to move mountains in the real world. If you actually would move one just a centimeter abruptly within half a second, you couldn’t fathom the damage caused to the area. Same goes with linux. Because then you can basically re-install your whole OS if you don’t have a backup or don’t know how to fix it, if it is fixable, at all. Sometimes, I feel like talking a poll here as to what people here use for recovery. @easyt50 there have been a few discussions about backup/recover methods here. i will link some of them for you in case they might be of interest. timeshift (description in the first link below) is the main one i use because it has a nice gui that guides the user through the process. using it daily and trying to understand it helped me get a better idea about how to begin to use the rsync command to make some other single folder backups for myself. it can do (to a degree) two of the things you listed: restore the /root and recover the /root. it does this by keeping track of system changes (much like system restore in windows) and allowing the user to revert to a previous state if some recent change makes the system unstable or unusable. 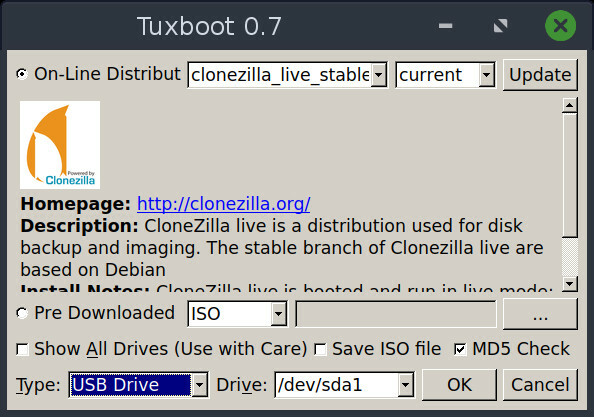 clonezilla is less new user friendly, but has the ability to make a copy of your entire system in case something really bad like total hard drive failure happens. i use it about once a month as a sort of backup for my backup. Thanks Cordx, I didn’t know (or forgotten) about the ~ (tilde). So I am glad you left this thread open. I learn something today. I going to copy your note down for future reference. Thanks Akito for the reminder of the power of root. 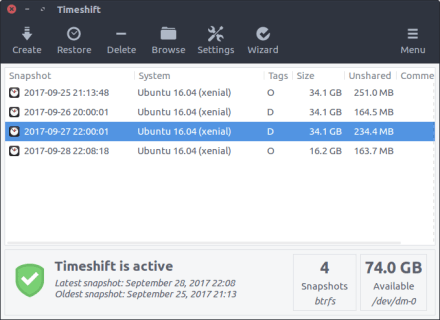 Being new to Linux, I fully expect to wipe out the root so bad that even Timeshift won’t be able to recover it. That’s the main reason I want to be able to recover root even if the system will not boot. So, until I can recover root w/o using root, I will try to be extra careful. As mentioned by @cordx I wrote a tutorial on BorgBackup. If you use this software and back up to a remote location, you can restore your system anytime, without issues. Even if you wipe out your entire OS. Yes, I read about Clonezilla and have even gone to their web site to d/l the program. At this time I don’t understand how to make a bootable USB in Linux from their instructions. So, I went back to Windows and used Rufus to create a USB boot stick. But it fail to boot. So, I will keep trying. I will be sure to check out the BorgBackup. At this time I don’t understand how to make a bootable USB in Linux from their instructions. Thanks Cordx for this suggestion. I used it to made my USB Clonezille and it works. Now I can begin to play around with this software.